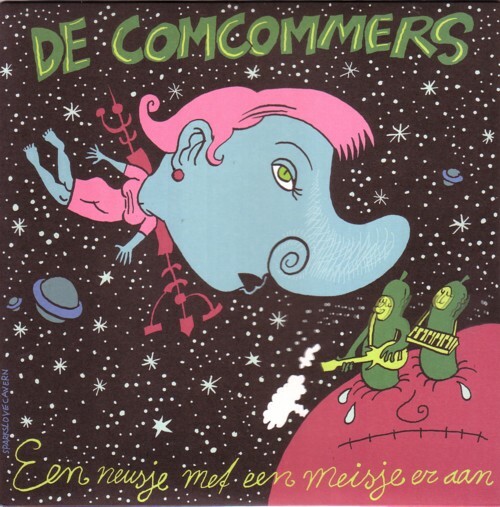 The LP by De Comcommers is out! Andy Warhoofd & Bob Geldwolf recorded the songs in 1991, just for fun. Andy wrote all the songs, and together they played all the instruments. I got a cassette tape of these recordings long ago and tried to convince Marthy Coumans to release this on his label, Grey Past Records. That took a while, but is was worth the waiting: the sound has been seriously improved and Berend Vonk has made a beautiful sleeve for this unique labour of love. And you can buy the LP here: huiboki@tele2.nl.